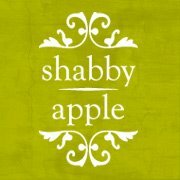 Shabby Apple is the perfect shop for this #YearofYou Giveaway Hop! I like the IPANEMA dress. I like the Tiber dress and the Martha's Vineyard dress. Thank you for the beautiful giveaway! I love the light green Alice dress! Lots of pretty ones...the CARNIVAL JR. would go with a lot. I like the Papaya Perfection...looks so comfortable. The Heart of Me dress. I'm Late I'm Late dress! I love the Jacobethan. Perfect for nursing. I love the One for My Baby dress. Gorgeous! I like the Papaya Perfection! I like the ELIZABETH ISLANDS. I love any of them with lace! They're all so adorable! I like the 'I'm Late, I'm Late" dress. I love the Alice Tiffany Blue Lace Dress! It's Different & classy! I like the Pina Colada dress in the yellow/floral print. I like the Corridor in purple. I love the Iris dress! I love the Ms. Porter dress! I like the Orange Sherbet dress. I like Knave of Hearts. Very cute items. I like the meant to be dress. I really like the plum-colored Ballerina dress. Bon Voyage and El Capitan are my faves. I like the Park and Follies skirt. Eye Candy! But I love the Walk the Line skirt. I like the Truman style dress. So many lovely choices! Not sure where to start. Haven't owned a skirt or dress in a number of years. But I should have at least one of each ;) Love the Alice dress. There are several that I like but I guess I would choose CHAMPS ELYSEES right now. I love the I'm Late I'm Late dress. The Lindy hop looks cute! I like the Dream Come True dress. I love the joy de vivre dress. I like the Elizabeth Islands dress. I like the Pier Patrol dress. So many cute ones! I really like the boardwalk baby skirt. I love the Golden Afternoon dress. ADORABLENESS. Two dresses really caught my eye: The Im late!, Im Late! dress. As well as the admiral navy dress! So Cute! Hello, for a dressy occasion I love the Hollywood Hills dress. Thanks for a great giveaway! I would love to have their Eye Candy dress, beautiful! I really like the lace on the Hollywood Hills Dress! Absolutely LOVE the "I'm Late, I'm Late" Dress!!! Sooo beautiful! Nautical Navy Skirt is cute. Thanks for the chance to win! I love "I'm late, I'm late!" It's so pretty! I like the Sunny Side Up dress! I am in love with either Belle De Jour or I'm Late I'm Late. I like the bon voyage dress in navy. Very classy! I like the Marco Polo, Happy Talk, and Black Oak!! They are all so beautiful love this site!! I like V.P. and Orient Express. I love the Snapdragon dress! I must have it! Your Pinterest link on the Rafflecopter form to Shabby Apple is broken. The Animalia does and 24K! It's so hard to choose just one! I love all of the vintage looks! I like the SERENADE in red! I love the I'm Late, I'm Late from the Mad Hatter Collection because I wear a larger size and this is flattering! I'd like it to wear to a wedding this fall. I absolutely LOVE the rootbeer float dress!!! So pretty! I like the Serenade maxi dress! I love the truman dress! The Audrey dress is GORGEOUS!!! i really like the ICY MINT!! they are all beautiful dresses!! I can't pick just one! They're all so beautiful! I like EyeCandy for sure! I like the Lincoln Square dress. Thanks. I'm a big fan of the March Hare dress, I couldn't wear it because those belted dresses don't work for me, but I love it. I love the Piazza Navona. Thanks for hosting! The Admiral dress <3 love it! The sea breeze dress is really pretty! The Bon voyage and the Alice are my picks. I like the DAISY dress. I like the Debutante dress. I really like the Dream Come True dress. I like the Joyful dress! There are so many that I like! But if I really had to choose... I'd choose the Premier dress. The Marco Polo dress is next to my top choice, though. Loved them. I like the Pina Coloda in yellow and white. So adorable! The heart of me dress says "Buy Me!" I like the Debutante... especially love that it's made in the USA! I love the summer wind!! Love love LOVE the CHAMPS ELYSEES dress.. Gorgeous! I like the polka dot dress "Blue Eyes". I like the Desert Modern dress. I like the FRESHWATER PEARL dress! I like the Navy Pleated Skirt Bow Dress. I like the "One for my Baby" dress. like that neap tide dress! great color! I have wanted the DaVinci dress for soooooo long! The Elizabeth Islands is very pretty! I love the Dining Car dress. I absolutely love the Inca Trail dress. Love the Eye Candy dress! The Sunset Boulevard dress caught my eye. I love the One For My Baby dress! I love all of the dresses, the Racquet Club dress really caught my eye though... Very Jackie-O and nautical all mixed together. Love it! I like the joyful dress.